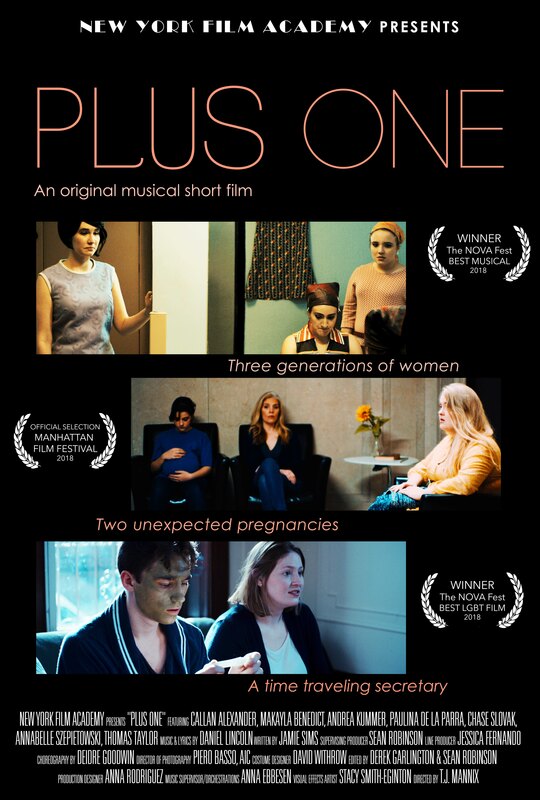 The New York Film Academy (NYFA) Professional Conservatory of Musical Theatre (PCMT) has snagged two film festival wins for its original movie musical Plus One. The epic short film utilizes original music as it follows three generations of women, two unexpected pregnancies, and a time-traveling secretary with the key to their futures. 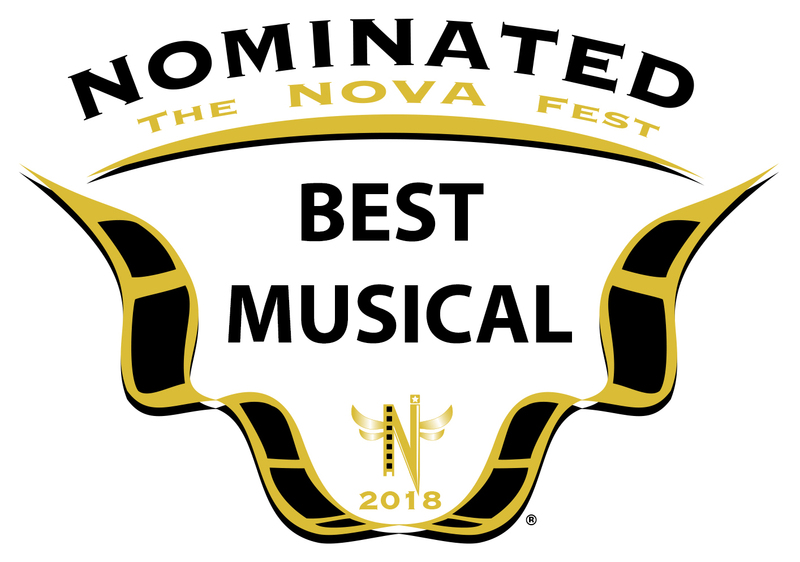 After a successful run at the NOVA Fest, Plus One went home with the top trophies for Best Musical and Best LGBT Film. Plus One’s trophies will be proudly displayed in the Musical Theatre office at the NYFA New York City campus. Stop by and check them out, and learn more about PCMT’s work! Two-Year Conservatory students at PCMT have had the opportunity to perform in original movie musicals since the program began in 2012. The unique experience allows conservatory students to prepare for the film and television industry as well as the stage. 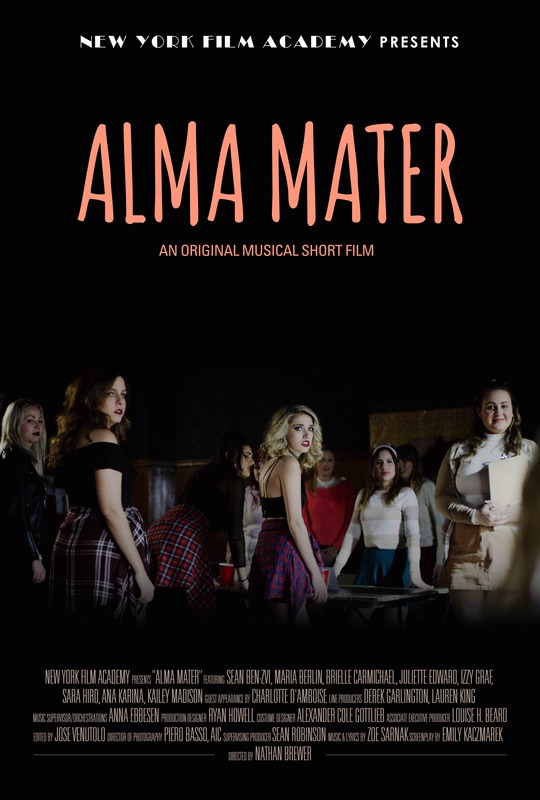 Each PCMT original movie musical is created from scratch with original stories and scores, and executed through collaborations with working industry professionals. 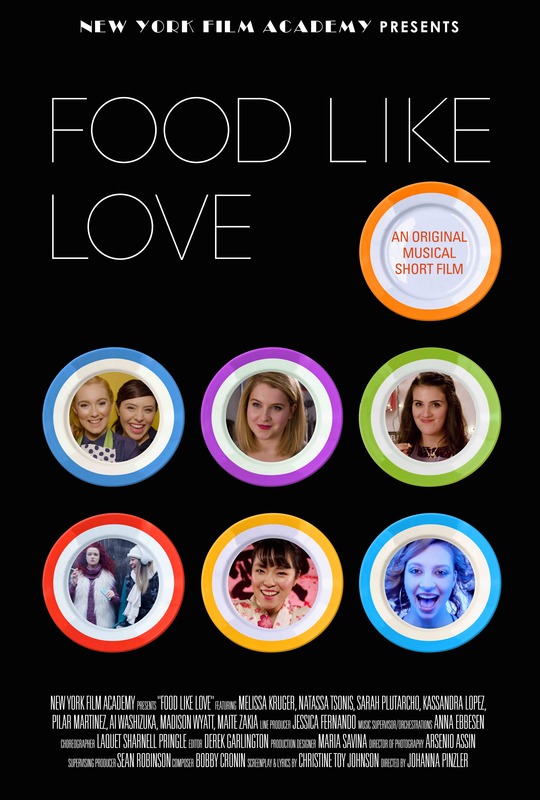 Past films have featured collaborators such as Tony Award-winner James Monroe Iglehart and Tony Award-nominee Charlotte D’amboise. 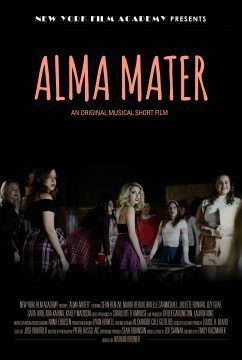 Yet each PCMT movie musical maintains its focus on its student performers, allowing the next generation of artists to truly shine. The New York Film Academy followed the 89th Academy Awards ever so closely last night on social media, even through the confusion. Heading into the evening, NYFA was firmly rooting for two of its alumni, Jean de Meuron and Raphaela Neihausen, both having been involved with nominated short films. 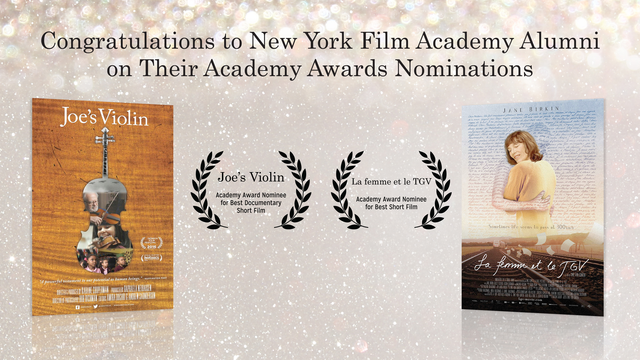 Neihausen’s short documentary film, “Joe’s Violin,” which she produced, was nominated for an Academy Award for Best Documentary Short. Alumnus Jean de Meuron was executive producer on “La femme et le TGV,” which was up for Best Live Action Short. While the former students didn’t end up winning for their respective categories, their monumental achievement speaks for itself. Of course the most talked about moment from last night’s awards event, hosted by Jimmy Kimmel, was the “Steve Harvey-like” gaffe during the Best Picture announcement. After accidentally awarding Best Picture to the movie musical, “La La Land,” the actual winner was revealed to be “Moonlight,” which iconic actor and director, Warren Beatty, clearly rectified by pointing out the winning card that was supposed to have been read. So while that was not exactly a shining moment for the gracious team behind “La La Land,” the film still notched a record-tying 14 nominations. “Moonlight” and “Arrival” followed with a very respectable eight wins each. It should also be worth nothing that two of our teacher’s assistants from New York Film Academy South Beach, Robert Colom and Danniel Rodriguez, had the privilege of working on set of “Moonlight” as Production Assistants. Additionally, in the world of animation, “Zootopia” won Best Animated Feature Film. Last year, before the film’s release, 3D Animation students at NYFA had an inside look from “Zootopia” animator, Darrin Butters, who broke down scenes and the development process that went into the Disney film. Finally, on a humorous note, NYFA guest speaker Seth Rogen brought us back to the future after emerging from a DeLorean with Michael J. Fox. Mr. Rogen was at NYFA Los Angeles last year to screen his R-rated animated comedy, “Sausage Party,” which was an absolute blast for those students and alumni fortunate enough to attend. While the snafu at the end of the evening will be talked about for days to follow, the winners will always remember when they received Hollywood’s most coveted prize.